Lagos State to phase out Danfo buses as it takes delivery of brand new air-conditioned buses – Royal Times of Nigeria. Lagos State is set to phase out Danfo buses as it takes delivery of the first set of brand new air-conditioned buses for the Lagos State Bus Reform Initiative have arrived. 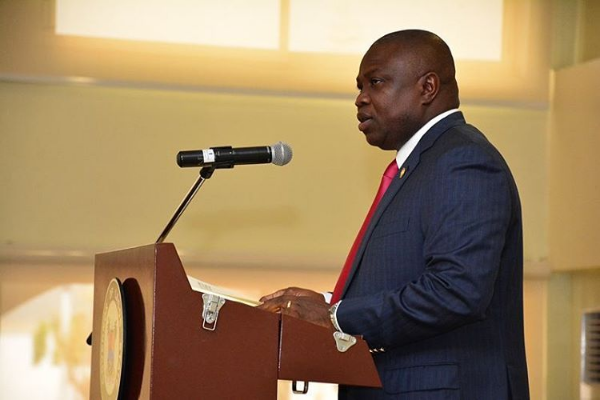 Governor Ambode was quoted in April saying that the proposed Bus Reform Initiative aimed at giving Lagosians an integrated public transportation system would kick-start this year with a fund of N30billion. He said, “We decided that the best thing is to allow the yellow buses go and so the Bus Reform Initiative itself is a three-year plan of 2017 to 2019 in which it intends to bring in new buses of 5,000 units in the three-year plan. The bigger size buses will take 70 people and then the medium range buses will take 30 people. We believe that the middle range buses will be supplied up to 70 per cent of the total volume which will amount to about 3,600 units and then the longer range in that direction,”. These buses were spotted at the newly commission Ikeja Bus Terminal.